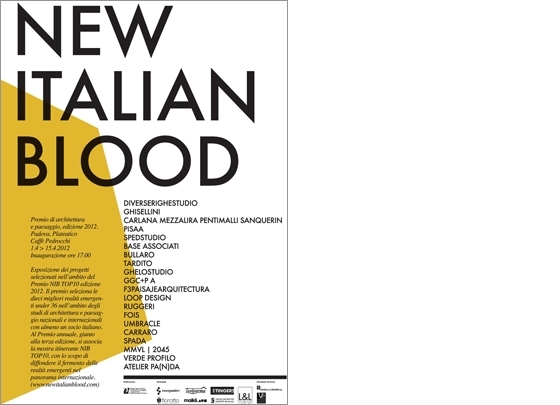 Opened on April 1 at the stallage the historic Caffè Pedrocchi, right in the heart of Padua, the first stage of the exhibition dedicated to the New Italian Blood National Prize of Architecture and Landscape for the year 2012. The award, now in its third edition, selects the ten best under 36 architecture and landscape designers, both nationally and abroad with at least one Italian partner. Tomas Ghisellini shows his work in the section dedicated to the Architecture Top 10. The exhibition is free of charge until 15 April.